Crushing callbacks and keeping termite customers happy requires equal parts education and communication. Reaching the source of a termite infestation in a crawlspace often requires the cooperation of the client. Of all the insects managed by the pest management industry, termites might be, if not the toughest to eradicate, the pest whose management involves the most numerous potentially complicating factors. Geography, necessary tools, types of structure construction and soil type can all factor in, as do severity of infestation, history of the structure and management plans specifically tailored to each job. The same can be said of many other types of pest management, but termites are more likely to involve journeys into crawlspaces, perimeter trenching, drilling — not to mention obstacles that don’t necessarily accompany most other types of jobs, from water pipes to gas lines. Like any other job, different pest management professionals (PMPs) will have different tactics for serving their termite customers. And then there are the callbacks and managing customer expectations — things to be considered for any type of pest management, but potentially more complicated where termites are involved. Managing customer expectations means giving the customer a reasonable idea of what will be done, how it will be done, and how long it will take to get satisfactory control of the situation. Because of the multitude of factors, termite work can be relatively complicated. Making sure your customers know what to expect will help to make them feel like part of the team, rather than reluctantly trusting the PMP they’ve hired is doing what needs to be done. Consultations, Whigham says, can put customers’ minds at ease because they already feel like they’re on the same page with the technician they’ve hired. They have a better understanding of the complexity inherent in the work, as well as a reasonable idea of what to expect. Whigham adds, however, that a key factor in the consultation phase must be honesty, even if you fear you’re telling customers something they don’t want to hear — “this will take more than one visit,” for instance. The more detail you provide, the better chance you have of convincing customers they’ve hired the right company for the job. Joe Giaimo, president of Crest Termite Control in East Haven, Conn., asserts that the more a customer understands, the more likely and willing he or she will be to work with you. Giaimo suggests offering an abridged education on the chemicals used might help retain reasonable expectations. There’s another potential benefit of a quick rundown of the tools being employed for the job. “You may also want to mention the chemical being used, especially if that chemical has positive selling features such as long residual, non-leaching, low odor, low volatility and low toxicity,” Giaimo says. This would seem especially pertinent now in a social climate that puts more value on “going green,” he notes. If you can explain why what you’re using is a “greener” option, by all means, call it out. A brief tutorial on termites goes even further toward helping customers make sense of what their technician is doing and why. “You should sit down with the customer and explain how termites work and behave, what type of damage they cause, and how your company is going to solve the problem,” says Fred Markowich, owner of Guardian Pest Control, Plainville, Conn.
Markowich suggests taking customer education to the next level by providing visuals. Giaimo says as important as it is for customers to understand the treatment, it’s equally important they understand what’s required of them. “Explain what you will do as well as what they must do,” Giaimo says, adding that confirming their understanding in writing is a logical safeguard against skewed expectations, or customers who plead ignorance when it’s time to pay their bill. “Have termite specifications and all additional agreements written into your contract before the job, so there’s no misunderstanding,” he says. Misunderstanding is often the key catalyst to creating a callback situation. That misunderstanding can often stem from a customer’s fear that the treatment hasn’t worked — before it’s been given the time it needs to do the job. Markowich says that, as long as the technician is providing treatment in accordance with label instructions, callbacks should be minimal. But sometimes even when customers understand what the product does, they don’t have a very good grasp on the timetable involved with getting results. “This wasn’t always the case,” he points out. “Products are so effective now, that retreat rates are way down compared to 15 or 20 years ago.” He warns, however, that leaning too heavily on quality products can create problems of complacency on the part of the technician. After inspection, there are other callback-proofing tactics that Giaimo asserts are too often overlooked during actual treatment. 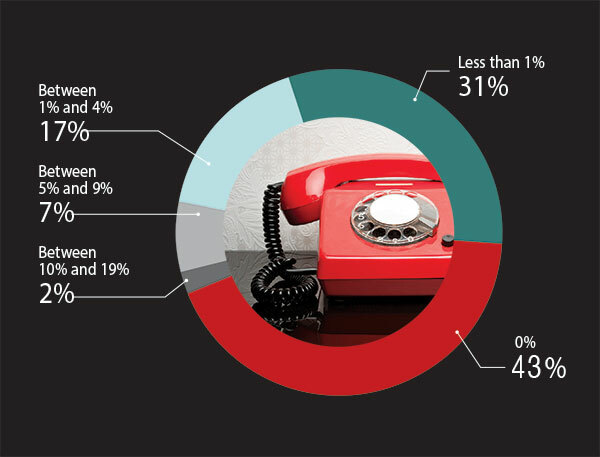 The numbers for last year’s callbacks on new termite treatments reflect positively on companies dealing in termite management, with the majority of respondents (43%) reporting NO callbacks for termite jobs. “In addition to doing the job thoroughly, don’t skimp on chemical,” he says. “During the application, pay special attention to the areas that showed signs of infestation during inspection, and all areas you find that are conducive to infestation.” Giaimo says this might include drilling and injecting damaged wood for quicker control, in addition to soil treatment. Regardless of how diligent your WDI inspectors and technicians are and how many callback-preventing safeguards are put in place, termite work has a knack for throwing curveballs. Many can be noted during inspection, but that doesn’t make them any easier to overcome during treatment. Giaimo reports that in many cases, additions and alterations to the original structure create seams and other termite-welcoming access points that are hidden or difficult to access. Some less common, but still typical obstacles Giaimo cites include old stoops left under added rooms or decks, exterior grade-level decks over soil or concrete, and pavers along exterior structure foundations. If some obstacles stem from prepping an account or completing a job, Giaimo suggests it’s perfectly reasonable to hire specialized professionals to prep an area prior to treatment or make repairs afterward. Likewise, there’s no crime in consulting a peer. “If you come across a situation that you’re not sure how to handle, or are uncomfortable with, consult someone experienced who can give you proper guidance,” he says.